Much of our work is in developing prototypes to provide a proof-of-concept for technical challenges in need of a solution. Often times this involves taking an existing technology beyond its current capabilities, but sometimes a problem is only solved by the development of a new technical solution which does not exist in the market place. For over 4 years Della Enterprises has been developing optical communications solutions for DARPA using infrared LED and LASER emitters. This includes a UAV-to-ground bi-directional optical communications link for data transfers performed during a UAV fly-by of the ground based sensor. Free Space Optical communication between ground sensor and UAV travelling at 80 knots. Another DARPA application involves providing localization of randomly dispersed microsensors in regions where GPS is unreliable or unavailable. 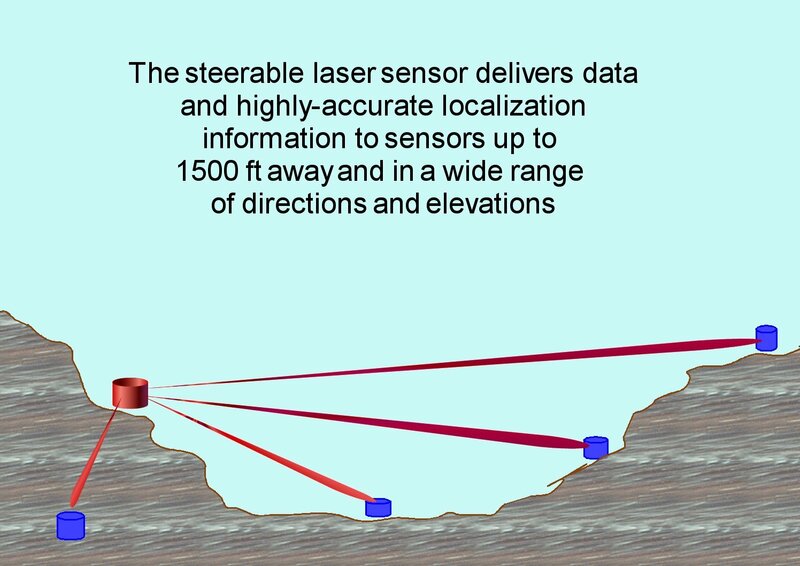 For this technology, we developed a laser based "lighthouse" that provides highly accurate positioning information to the ground based sensors allowing the sensors to "self-localize" to within +/-2.5 inches. Laser "lighthouse" that uses optical free space communications to provide accurate positional information to remote sensors. For 7 years we have been developing speech recognition solutions for the US Navy to permit voice based data collection in the noisy carrier environment. Our proprietary recognition software operates in jet noise at levels reaching above 135dB using our proprietary noise-cancelling muff microphones. 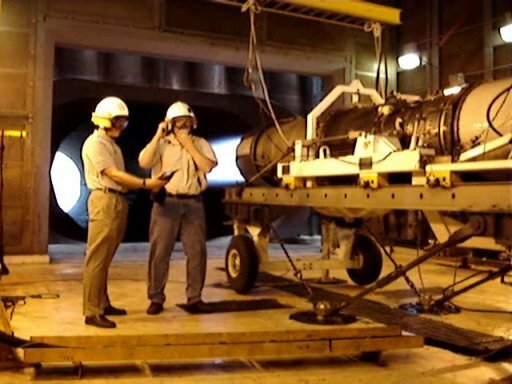 Testing of our proprietary "tooth" microphone in US Air Force jet test cell. We have been awarded a patent for our tooth microphone which permits reliable speech recognition in jet noise in excess of 140dB and are awaiting a patent award on our technology for using free space optical transmissions for voice communication. Copyright © 2014 Della Enterprises, Inc.